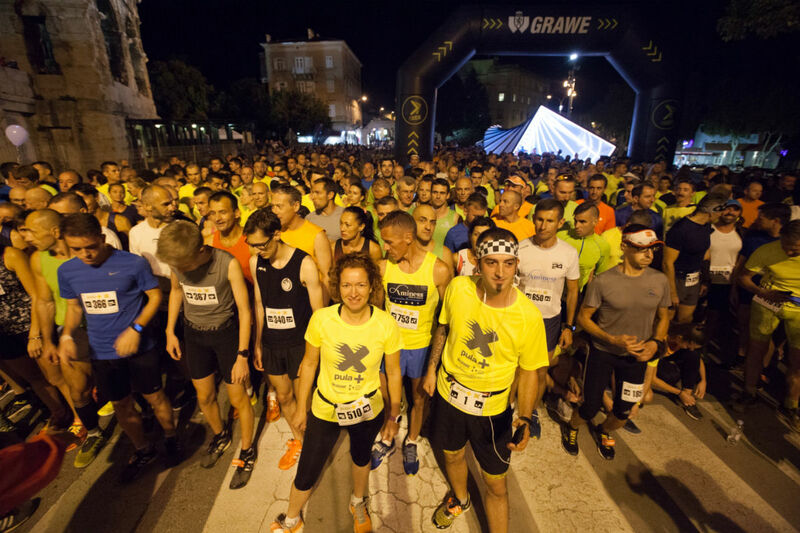 Pula X Race (PULSKA Xica), night city race through the city center, will be held on Saturday, September 15 at 8.30 pm. As in previous years, the finish will be in the 2000-year-old-year Arena. This event is held under the auspices of the CITY OF PULA and Tourism Office Pula; co-organizers are the Archaeological Museum of Istria, Historical and Maritime Museum of Istria, ISTRun and Run&trek. After GRAWE joined us last year with their project poKRENI, when in addition to the 10K run a recreational 5K run was offered, this year we have a new partner – DM. Their aim is to promote and popularize running from a very early age, so we are also introducing the Kids Run with pre-school and primary school categories. To make these fantastic visual effects created by Festival Visualia enthusiasts even more attractive, we have prepared special prizes for the fastest runners. The slogan of this year’s race is #OsvijetliteObraz, which emphasizes the lighting installations and visual effects along the 5K and 10K run during Festival Visualia. The early entry fee (before July 15) is 80 kn, from July 15-August 15 the entry fee is 100 kn, and after August 15 it is 120 kn. In addition to the above-mentioned prizes and medals for finishing the race, participants registered before August 15 will also receive a dry fit T-shirt with the recognizable X Race logo in their start package. Organized by: ISTRun, Pula Kinesiology Association and Run&trek, under the auspices of the City of Pula and Tourism Office Pula.